Book Trends 2014: What's The Next Big Thing In Publishing? If anyone has a good idea about what's coming up next in the reading world, it's probably the people who are letting the readers write the stories for themselves. Wattpad, a social platform with more than 35 million users, is a place for both storytellers and story consumers. The app and website encourage people to write stories, upload them and then read — and read and read and read, to the tune of 9 billion minutes spent on the app per month. Stories are also voted on and translated into new languages by the site's users. With an audience that skews young (45 per cent of readers are between the ages of 13 to 18, and another 45 per cent are between the ages of 18 to 30), Wattpad's Head of Content Ashleigh Gardner says it's easy to see what is piquing the interests of young adults around the world. "That's one of the best things about Wattpad," says Gardner. "There's no editor between, saying what readers should read and shouldn't." 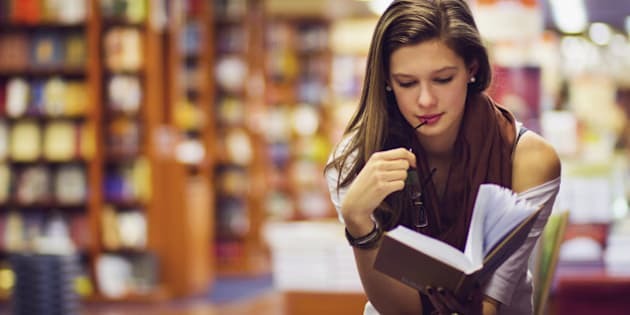 Earlier this year, a large debate raged as to whether grown-ups should be shamed for reading young adult novels, and the overarching conclusion was 'read it if you like it, but don't expect it to be as fulfilling as a book written for adults. And while that's a fine argument, if Twilight, The Fault In Our Stars, and The Hunger Games are any indication, the interests of young adults tend to inform what much of the rest of the world (no matter their age) will care in terms of pop culture about in the coming years as well. So what is it that (primarily young) people want to read about these days? Check out the slideshow below.